(Text automatically translated) conveniently located 50 meters from the slopes, comfortable, Discount duration, separate bedroom facing south, underground parking: your vehicle safe throughout your stay. Wi-Fi connection or computer disposal. 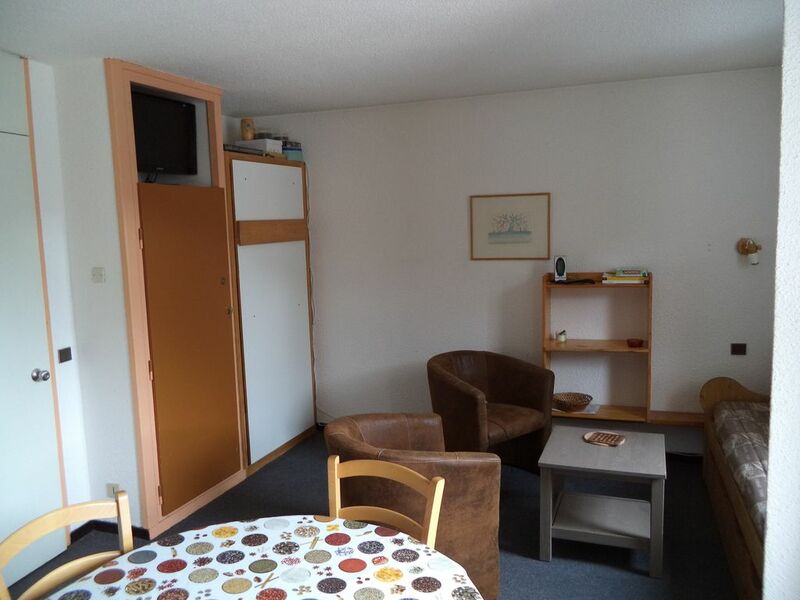 The apartment has a great location very close to all amenities - supermarket, restaurant, bar, ski-shop and is right on the piste. The apartment is fully kitted out with everything you need for a comfortable stay and the host kept in touch to ensure everything was ok. The only thing that would have improved the stay for us would have been the provision of bed sheets and towels since we were travelling by airplane and had limited luggage. All in all, a great apartment and a wonderful holiday. "Very quiet area with good amenities close by. Indoor carparking was very good. Appartment good." Appartement bien situé, bien équipé, propre. Accueil agréable et communication efficace. Appartement très agréable. Il est lumineux avec jolie vue,bien agencé, literie confortable. Le propriétaire a pris de nos nouvelles pendant et après le séjour. Cette attention nous a été très agréable. Appartement bien équipé et sa localisation est parfaite : Départ et retour skis au pied, proche de la piscine et des petits commerces ! (Text automatically translated) take the motorway to Moutiers and follow the direction Les Menuires (Belleville valley). train to Moutiers and bus service. Free from the heart of the station and shuttle Réberty 1850. (Text automatically translated) shops, supermarket, restaurants, bars, ski rental, post, sell packages to 50 meters. ski school 100 meters.